Looking for some satisfying, independent-minded, hand-selected Summer Reading? Then here are ten top reads for the Summer as selected by all of us at Mostly Books. Hopefully this will give you a few ideas for your next favourite read, particularly as some of favourite books of the last few months are new out in paperback. And of course - come in for personal recommendations at any time! 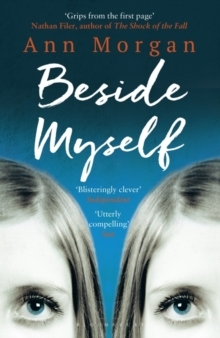 This is much more than just an intriguing book on the nature of identity, it's actually a sensitive, accomplished and really gripping debut and a thoroughly engaging story. Constantly surprising, you find yourself desperate to discover how the story ends, with a twist that is brilliantly done and entirely satisfying. We think Ann Morgan is definitely an author to watch. 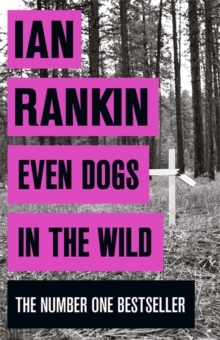 'Even Dogs In The Wild' is Ian Rankin's latest John Rebus thriller, and after 'retiring' Rebus a few years ago, and dabbling with other characters in Rebus' world, Rankin offers us a fantastic return to form - and a cracking thriller in which Rebus must join forces with DI Siobhan Clarke to stop a killer striking again. Rankin's mastery of plot and characterization is complete, and Rebus's world is complex, brilliantly drawn, and utterly compelling. 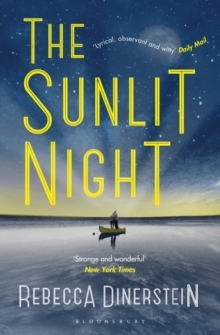 The best holiday reads utterly transport you to places exotic and strange, and after the blistering temperatures of earlier this week, we recommend reading 'The Sunlit Night' by debut novelist Rebecca Dinerstein. Two very different people - one fleeing heartbreak, one looking to bury his father - meet on an archipelago in the Norwegian Sea, a hundred miles north of the Artic Circle. Beautifully written, with a real sense of place, yet quirky, unashamedly romantic and hugely satisfying. 'The Immortals' by SE Lister is one of Julia's picks this Summer - published at the end of 2015, but new out in paperback. And get that cover! When Rosa gets tired of living through 1945 again and again, she escapes from her parents and begins a rollercoaster ride back and forward through time and meets many strange and wonderful characters.There are so many effortless layers to Lister's writing that it allows the story to meander from one era to another. Can any human live, ever really live without a home and is a life spent without roots or relationships any real sort of life? 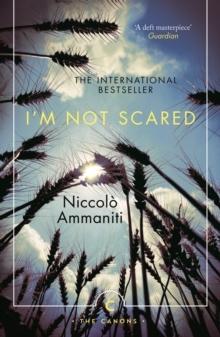 If Elena Ferrante's Neapolitan Quarter of novels has you hungry for more translated Italian fiction, we recommend you look at 'I'm Not Scared', originally published in 2001 by novelist Niccolò Ammaniti (and made into a film of the same name). A classic contemporary thriller, it follows the story of nine-year-old Michele Amitrano, who makes a discovery in a dilapidated farmhouse so momentous, he dare not tell a soul - something that will have profound consequences on him and the world around him. Another brilliantly inventive debut is Natasha Pulley's 'The Watchmaker of Filigree Street' which combines shades of Nick Harkaway, David Mitchell and Joseph Conrad's 'The Secret Agent' (now that's some combination!). 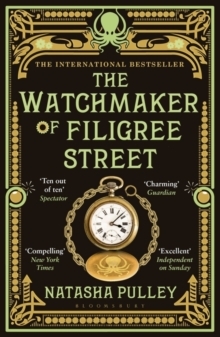 In a steampunkish London, a mysterious watch saves Thaniel Steepleton from a bomb which destroys Scotland yard - and then sends him on an increasingly frantic hunt for its maker. Questions of fate and destiny, as well as two remarkable female characters that Thaniel is increasingly torn between, this is a book of real ambition. 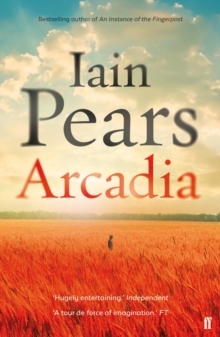 Talking of ambition, 'Arcadia' may be author Iain Pears' biggest yet. It's a story of three worlds: One present (1970s), one future and the third an invention from the mind of a writer called Henry Lytten. When these worlds collide a whole heap of trouble occurs. A schoolgirl from the nineteen seventies is mistaken for a fairy. Security officers from the future are arrested as Soviet spies and Lytten enters his own story and is worshipped as a deity. This is an eclectic mix of fantasy, history, science fiction and dystopian future which together make an engrossing read. 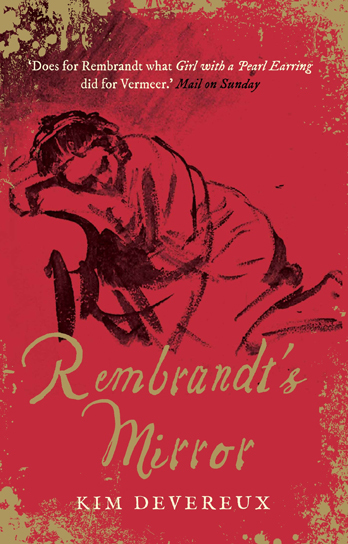 In 'Rembrandt's Mirror' by Kim Devereux, we are plunged into the world of legendary Dutch painter Rembrandt's later years, which were blighted by a string of personal and financial losses. This is a powerful a compelling story of the later loves of the painter's life and the clash of genius and the man inside. The novel is steeped in Rembrandt's art; each chapter is named after, and in some way reflects, one of his paintings. The writing is laced with painterly description and art theory, giving the impression that we are looking at this world through an artist's eyes. Who can resist the charms of the Dutch Golden Age - now in a sumptuous paperback. Want more? We reckon you should also take a look Sebastian Faulks' latest sweeping novel 'Where My Heart Used to Beat' and Edna O'Brien's story of a charismatic faith-healer on the West coast of Ireland ('The Little Red Chairs'). But come in for more recommends - because there are a whole collection of great reads out this Summer and we'd be happy to show you more!